When you support KNOX, you change the lives of children. Because of you, KNOX was able to provide ONE TON of fresh, locally-grown produce to Hartford schools in 2018! 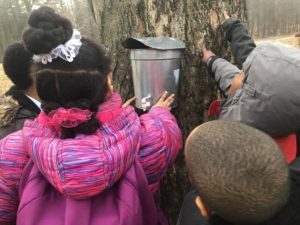 Gaia’s Guides, KNOX’s free, hands-on environmental education program, engages more than 900 Hartford students each year with interactive activities that explore the city’s natural resources, teach about sustainable food production, and build a personal relationship with nature. Environmentally connected children live healthier lives and engage in positive environmental behaviors. Growing their own vegetables provides exercise and encourages children to make healthier choices. When children participate in gardening they have an opportunity to ‘taste what they grow”. 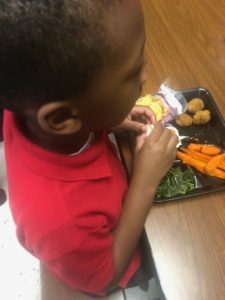 Not only are they excited to eat foods they grew, they are more likely to choose them as healthier lunch options when they are available in the school cafeteria. 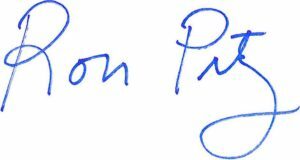 We need your help to ensure that Hartford schools continue to have access to the vital food and educational resources that KNOX provides. Your gift will help KNOX expand and maintain greenhouse space to give our urban farmers the ability to increase their impact and provide students with year-round access to fresh vegetables. It will give even more students at more schools the chance to learn how to grow their own healthy foods at home with their family and neighbors. Your gift will transform the lives of our children, our neighborhoods, and our city.